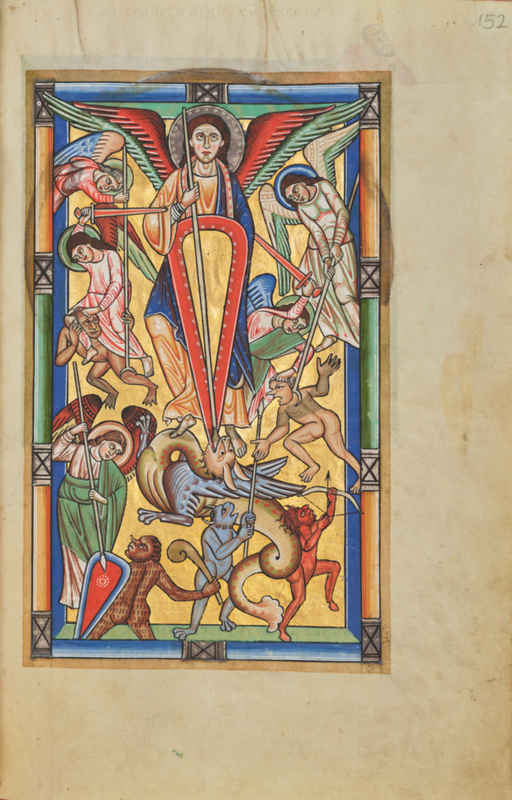 Saint Michael the archangel stands upon a dragon with his spear and shield jammed into the beast's open mouth. Around him, other angels fight demons in the final battle before the Second Coming of the Messiah, for which Saint Michael would return to earth. This full-page miniature introduces the Mass celebrated on his feast day, an important one in this missal since Michael was the patron saint of the church for which it was made.